Unlike humans, dogs age faster and the average life expectancy of a medium-sized dog is around 12 years. The number also depends significantly on factors such as breed, size, nutrition, genetics, environment, or vaccination history, just to name a few. In general, larger breeds tend to age faster than the smaller ones. As a general rule of thumb, any dog between 7 and 8 years of age should be considered middle-aged. A dog is considered to be a senior when he or she has reached the last 25% of the predicted lifespan of the breed. Once a dog enters this stage of his or her life, there are a few changes you’ll notice, as well as steps that you can take to keep the dog healthy and comfortable. The first things that will change once your dog gets older are his or her dietary needs. Since older pets will not be as energetic as younger ones, they will require fewer calories. This is why it is critical to switch to a quality senior dog food as soon as your pooch has reached this crucial stage of his or her life. Food for senior dogs contains fewer calories, and that will prevent your dear companion from getting fat. 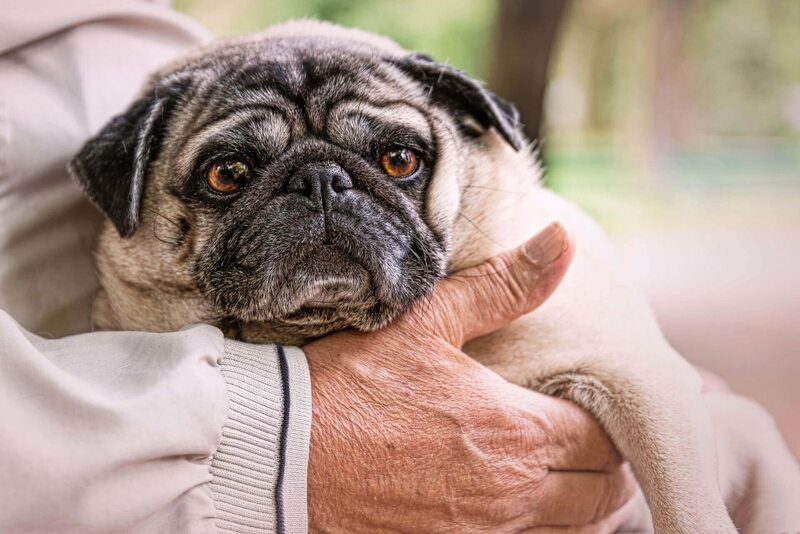 Obesity is a very serious health threat with older pets that can contribute to a wide range of problems, including heart disease, arthritis, as well as numerous other debilitating conditions. When transitioning to a new food, it is recommended that you take at least a week or even more to introduce the new food mixed with the old one gradually. The reason for this is that abrupt diet changes are very likely to cause gastrointestinal problems, especially with older dogs. Similarly, certain pets might require additional nutritional supplements such as dog glucosamine products to help improve joint flexibility and reduce inflammation and pain. It is advised that you first speak to your veterinarian in order to determine if your furry pal requires any supplements that can help him or her age more comfortably. While it is true that geriatric animals may not have the same vigor, endurance, and speed as they did when they were younger, that does not mean that it is time to let your dog sleep and eat the entire day. The fact that they might not seem as keen to exercise as when they were younger does not mean they enjoy exercise any less. Exercise in older dogs is just as important as when they were young. Regular walks and exercise can help prevent obesity, stimulate their heart and blood vessels, and contribute to the overall well-being of the pets. The musculoskeletal system will also see the benefits as exercise will help with maintaining muscle tone and range of movement. This can be even more beneficial for pets that suffer from osteoarthritis. When selecting the type of exercises you want your pet to perform, apart from the daily walks, you should take the time to talk to your veterinarian. This way you will be certain that you won’t overstrain your pet, and the vet may also select exercises that will help ameliorate whichever conditions your pet might suffer from. 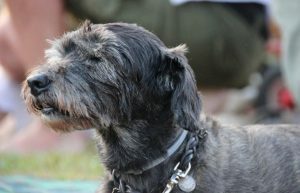 Same as humans do, many breeds of dogs can get gray hair as they age, particularly around the eyes and on the muzzle. The coats may also become thinner, an aspect that you should be very careful about since it can be a sign of additional problems other than advancing age. If you notice that your dog’s coat changes substantially or suddenly, the first step you should take is to call and tell your veterinarian. You should groom your pet regularly so that you can check for bumps, lumps, and other signs of potential trouble. 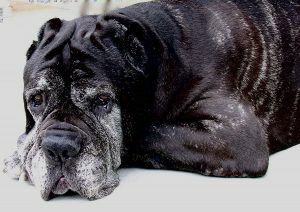 It is very common for older dogs to exhibit fatty deposits and benign tumors, but cancerous tumors may also occur. If you notice any suspicious areas or new bumps on the skin of your pet, you should immediately have it checked by your veterinarian. The nails may also become more brittle, the older your pooch gets. If you notice this happening, your vet may be able to prescribe nutritional supplements to help with this problem. Similarly, since your dog will become less active, you may also need to trim his or her nails more frequently. Once the nails become very brittle, you should be very careful when clipping, since you don’t want the nail to split or crack. To avoid all this unpleasantness, you can also consider learning how to use a grinder. 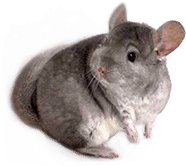 Unlike clippers which can hurt your pet’s nail, grinders are much more gentle and can make the entire process less stressful and much more enjoyable for both yourself and your faithful companion. Dental diseases are widespread in older dogs, which is why routine dental care is more important than ever for dogs as they age. Even when old, you should not assume that your dog should have bad breath because he or she shouldn’t. Bad breath is generally associated with gum disease which does not only affect the dental health of your pet, but can also affect the heart, kidney, lungs, and other organs. Dental conditions are very dangerous since they contribute to life-threatening complications. By ensuring proper oral hygiene, you will protect your aging dog from gum diseases, as well as give your vet the chance to examine your pet’s mouth for telltale signs of illness. You should also try to schedule professional tooth cleaning at least once a year, or more frequently if it is necessary or if you can afford it. You may also brush your dog’s teeth at home to help maintain his or her oral health. Additionally, you can use chewy dental sticks for dogs, as well as chew toys that are designed to help keep the gums and teeth clean and healthy.